The partnership between the Ultimate Hockey Fan Cave and Beer League Sports started with a comment on a photo of Instagram. 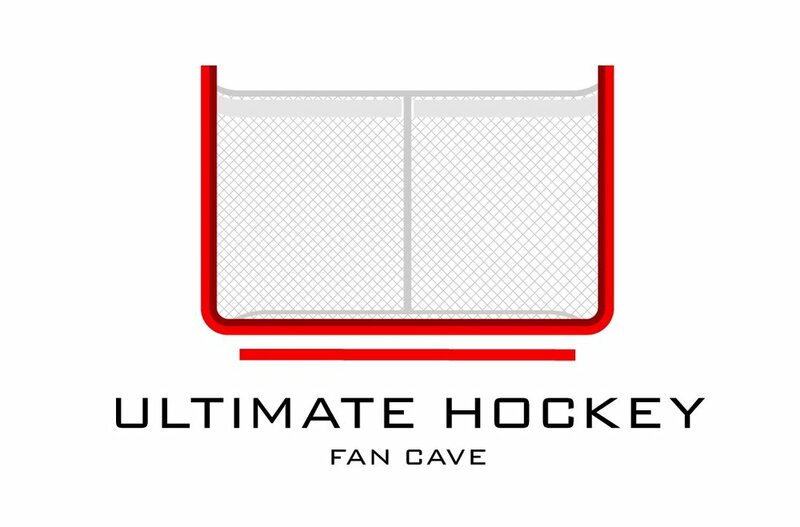 From there Beer League Sports and The Cave have been working together to create custom designed Tabletop Hockey League (THL) jerseys. Below is the final product of our THL jerseys and logos that the creative geniuses and, just genuine folks, at Beer League Sports created for us. Thank you Beer League Sports! Beer League Sports even designed a custom THL logo for us! We saw the mock-ups and knew what'd they look like, but were very suprised about the top quality the jerseys are. No joke, these THL jerseys are nicer than our hockey jerseys we use on ice. Do us a favor and if you need any custom apparel services, you start with www.BeerLeagueSportsUSA.com. ORDER YOUR OWN CUSTOM THL JERSEY! The Dealers jersey was a concept that we came up with during discussions of what the Las Vegas NHL team should be called and what their logo should be. Landen's vision to incorporate the cards on the sleeves was a nice touch and was beautifully executed by Beer League Sports. The colour choice for the collar was a great accent and you can tell that Beer League Sports knows what they are doing. We expect this jersey to be the most popular out of the three. Especially when worn in Vegas. The Original Sticks is for the creator of The Cave, Kenn Shaw. Kenn is a die-hard Blackhawks fan and has been for over 50 years. As well, Kenn loves the Original Six era, teams and everything that comes with it. Therefore, you can see how Beer League Sports has combined Kenn's passions, the Blackhawks and the Original Six era. One really nice touch is that Beer League Sports incorporated Landen's original logo in the centre of the jersey and on the sleeves. Great job!